While this article was written specifically about Austin, most of it could apply to many other American cities whose core is developing rapidly and whose traffic infrastructure is failing to keep pace. 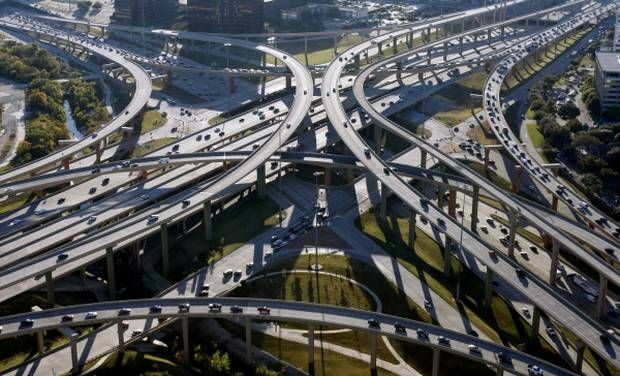 Overused roads are the biggest impediment to Austin’s boom. So more things that travel on those roads are not the solution. There’s no getting around the problem of traffic in Austin these days. A trip across town that used to take me 20 minutes when I moved here nine years ago can take an hour and a half. I console myself with the fact that I’m now living in a far more successful city. It’s a city I’m enjoying more than ever, and I’m proud to be a part of it. My pride is not just about the music and technology scenes. It’s wonderful to live in a city with an environmental conscience and huge environmental ambitions. Austin in 2016 is by any measure a success. People keep moving in. Hotels, entertainment venues and gourmet restaurants are springing up like weeds. Has any city jumped from regional center to international metropolis so quickly, without ever passing through a period of being a national city? Austin has emerged as a world-class destination and a world-shaking center of innovation in a decade. Surely there aren’t many precedents. The abruptness of Austin’s success, our astonishing transition in a decade from a sprawling patchwork of low-slung buildings and empty lots to a global destination city with a dense urban core, is causing a whole range of problems, unfolding in fast-forward — water supplies, electric supplies, gentrification. Arguably none of these is the showstopper that the transportation problem is shaping up to be. The region’s primary transportation strategy in the past has been to add roadway capacity. While the region has increasingly offered greater options for multiple occupant vehicles and other transportation modes, much of the added capacity has been for single occupant vehicles as well. It’s easy to understand why. TxDOT has noted that 97% of the Texans currently drive a single occupancy vehicle for their daily trips. One could conclude that our agencies should therefore focus their resources to support these kinds of trips. However, this approach is actually exacerbating our congestion problems. We need a paradigm shift in order to achieve the kind of mobility outcomes we desire. The Katy Freeway, or Interstate 10 west of Houston, is the widest freeway in the world, with up to 26 lanes including frontage road lanes. The 2008 widening had a significant impact on the adjacent businesses and communities. Yet, despite all these lanes, in 2015 the section of this freeway near Beltway 8 was identified as the eighth most congested roadway in the state. This was only seven years after being reconstructed! This example, and many others in Houston and around the state, have clearly demonstrated that the traditional strategy of adding capacity, especially single occupant vehicle capacity on the periphery of our urban areas, exacerbates urban congestion problems. These types of projects are not creating the kind of vibrant, economically strong cities that we all desire. Widening roads is the wrong answer. We already know this. 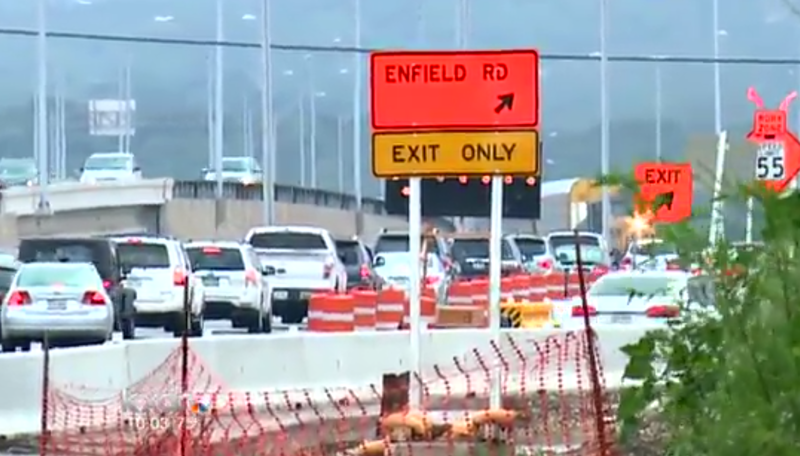 For instance, the current widening of MoPac probably added more to our traffic woes during its construction than it will alleviate during its use. Widening roads is also the wrong answer from a sustainability point of view. We have ambitious objectives for our energy, our waste, our greenhouse gas emissions… And at the same time, we are the fastest growing city in the United States. It’s an enormous challenge. It’s true that in principle car traffic can be electrified and the electric grid can be decarbonized. Indeed, both of those prospects are surely necessary. But the electric grid will be hard pressed to cope with decarbonization AND a booming population AND a transition to full-weight electric cars. Highway-safe self-propelled vehicles are not the right way to move around a dense urban core. They’re too heavy for the ways we use them. Most of the energy used in moving the car around is in moving around the structure which is intended to keep passengers safe in high-speed collisions and the power train itself. A human-powered or externally powered vehicle designed for a lower-speed network can be drastically lighter and therefore much more energy efficient. It’s a commonplace in energy wonk circles that efficiency is the cheapest form of power. Moving individuals and their laptops and briefcases around the urban core in self-propelled vehicles heavy enough for long distances and highway safety is the opposite of efficiency. Electric or not, encouraging highway-ready cars is the wrong answer to our sustainability problem as much it’s the wrong answer to our traffic problem. When the roads are full, alternative vehicles on those roads cannot help much. Consider what is on the table for Austin. Buses. Bikes. Pedicabs. Taxis and other on-demand vehicles. Surface light rail. 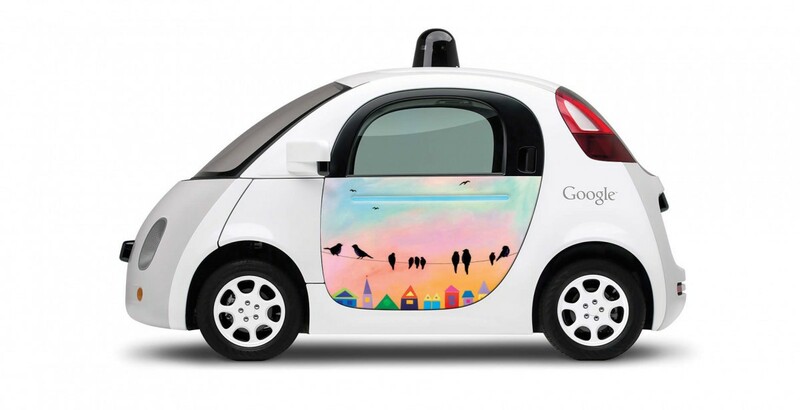 Self-driving cars (a.k.a. autonomous vehicles). All of these travel on the same road network (or in the case of light rail, cross it). As an example, consider the claim that each bus can “take dozens of cars off the roads.” This may be literally true if the bus service is an attractive alternative to people who can afford a car. But even so, does the bus reduce traffic? 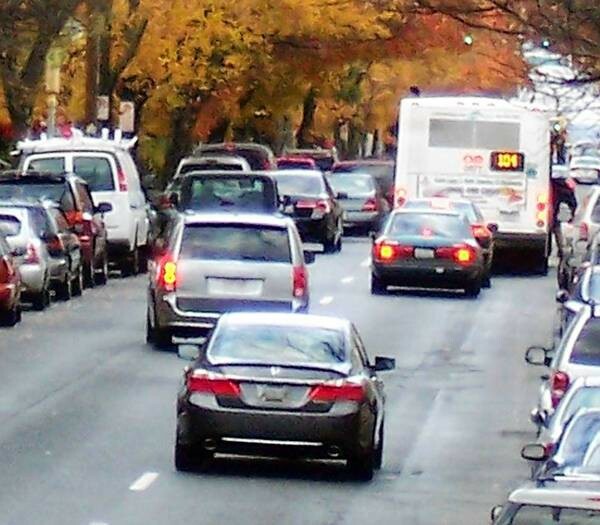 It is quite possible that it doesn’t reduce traffic at all — in fact it makes matters worse. Suppose a bus is traveling down a two-lane road with heavy traffic, where there is no bus pull-off zone. It blocks a lane. In its vicinity, a road that can carry two lanes of traffic at, say, 40 MPH can now carry only one lane. So the bus has halved the capacity of the road in its vicinity. You might suggest that we use the average speed for the bus, say 15 MPH. In principle, yes, we now have a 40 MPH lane and a 15 MPH lane, so if people were willing to drive at 15 MPH the capacity would be reduced but not halved. Of course, this is not what happens, as no car has volunteered to travel at 15 MPH. Instead, the cars are on the alert for opportunities to switch lanes. A zone of confusion and inconvenience travels down the road with the bus. And this reduces the capacity of both lanes. In a city with light traffic, this matters little, because the lane switch is easy and the road has excess capacity, but as the road becomes more in demand, the impact becomes larger. In the end, it’s easy to see that a point can be reached where the bus actually reduces the number of passengers that the road can carry. 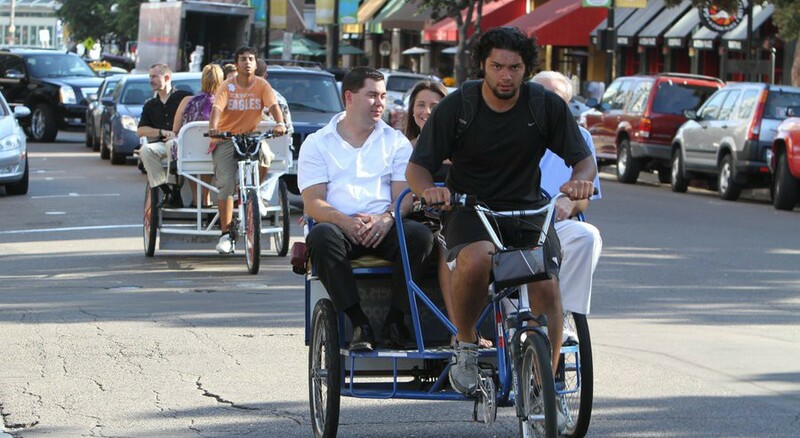 Pedicabs and bicycles are similar. They coexist with cars nicely on streets which have ample capacity, but on streets which are carrying near their maximum traffic they create a zone of confusion and frustration, and a loss of traffic capacity. In addition, in a city unused to bicycle traffic, the consequences of the zone of confusion can be tragic, usually to the bicyclist. It’s worth mentioning that Austin has made some effort to create bike lanes, but they are not well enforced, so that a fast-moving bicyclist may suddenly encounter a parked car. Nor is the maintenance of bike path continuity a priority at times of construction, which of course is a constant feature of the urban core nowadays. In practice, bicyclists are forced into traffic, at great risk to themselves and at considerable cost to the capacity of the roads. It’s also worth mentioning that in Austin, secondary roads peculiarly dead end into major roads rather than crossing them. The opportunities for bicyclists to travel long distances on secondary roads that exist in many cities simply don’t exist here. 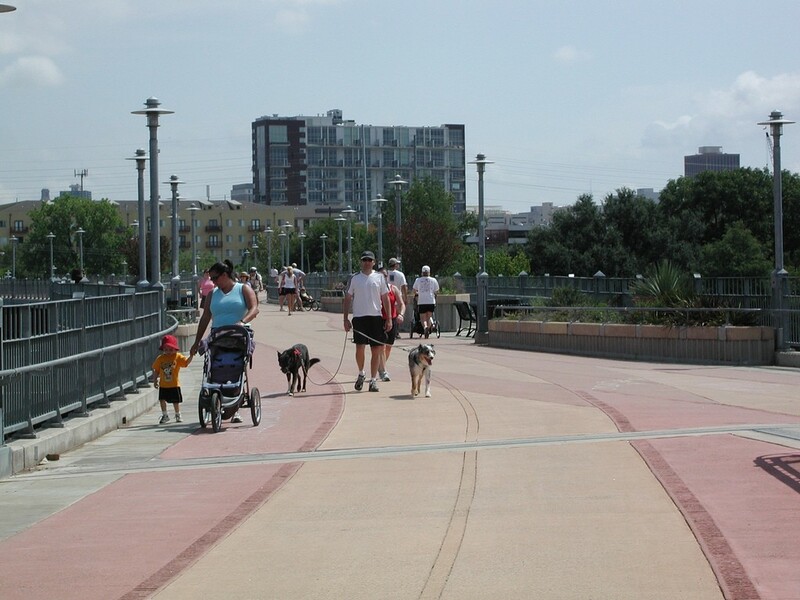 The existence of recreational bike paths is a wonderful amenity of the city, but these paths are not designed to connect to one another on bike-friendly surface streets, and so contribute little to the transportation needs of the city. The emergence of new taxi-like services like Uber and Lyft is frequently mentioned in these conversations. These certainly do reduce demand for parking. But in practice they behave as mostly single-passenger vehicles. They don’t make the traffic situation worse (except for the unoccupied drivers in “cruise” mode), but they don’t help much. Finally, there’s the light rail system recently implemented at great cost. Whatever else its advantages and disadvantages, the current line has two great failings that relate to my point of view. First, it does not cross the lake so it can’t in principle do much to resolve the large-scale bottleneck. And second, it does provide yet another modality using the roadways. At places like Lamar at Airport and 51st and Airport, the train creates awkward backups that aren’t timed for the street signals. New traffic jams emerge where none existed before. When a road network is full, alternative vehicles can do as much harm as good, if their usage pattern is different from that of smooth-flowing car traffic. A second, crucial point is that to solve Austin’s traffic problem, the key is to increase the passenger capacity of routes across Lady Bird Lake. Widening the bridges is at least conceivable (at great expense), but widening the roads leading to the bridges will be very difficult. Our roadways are full. There’s no place to go but up. There are two obvious ways to get north-south traffic off the surface. The first is the easier to understand, but the more expensive and long-term idea. That is, Austin needs elevated rail. 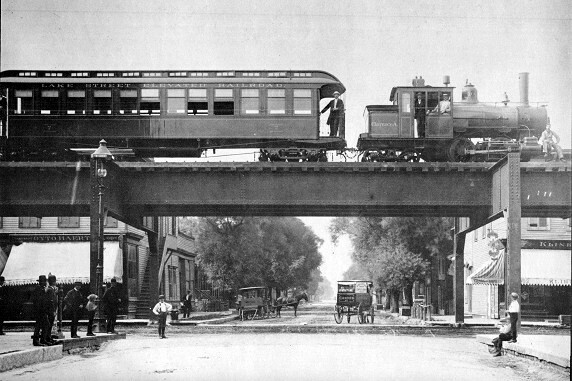 The “L” or “el” (for “elevated”) train delivered its first passenger miles in 1892. This system has been in continuous operation for the intervening 123 years. It’s hard to accept that what was achievable in Chicago in the 1890s is inconceivable in Austin today. 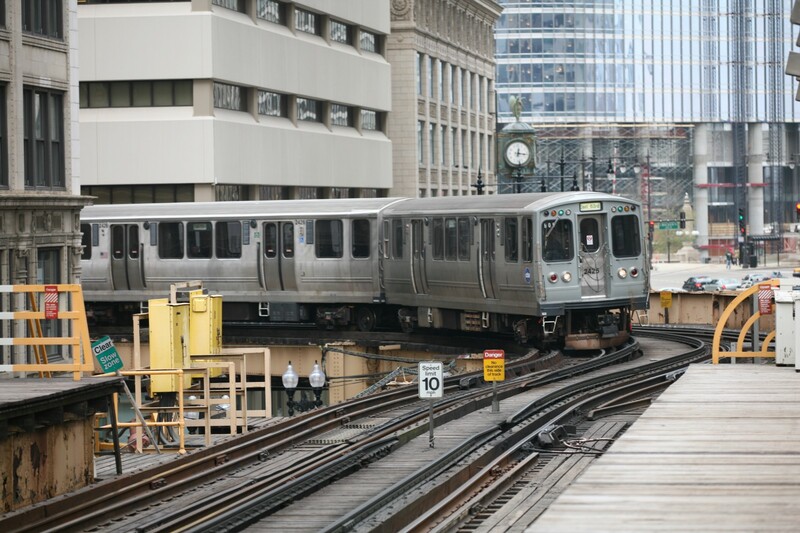 A modern Chicago El train rounding a corner of the Loop. It’s true that labor is more expensive and safety laws are stricter, but the materials and techniques that could be brought to bear are enormously advanced. As further evidence that such a system is not impossible today, consider the fact that Vancouver, British Columbia first deployed its elevated “SkyTrain” light rail system in 1985 and has since added several lines. 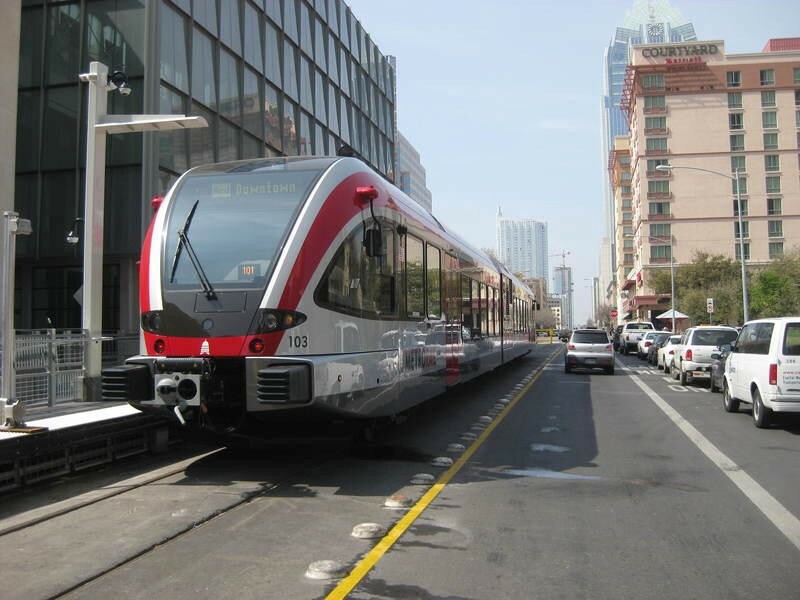 The first goal of an elevated train system in Austin is north-south connectivity across Lady Bird Lake. A promising route would follow Lamar Blvd from 183 down to 71, with highway-accessible park-and-rides at either end. That is, one could imagine a system of supports erected over Lamar Blvd carrying a train (or even a monorail!) right above the center of the road. This includes flying right over the extant Lamar Blvd Bridge. A related, more futuristic approach which shares many of the advantages of elevated rail is elevated Personal Rapid Transit as advocated by Richard Garriott. The key is to offer not just alternative vehicles but an alternative, elevated road network. The roads are full — the space above the roads is not. There remains an east-west connectivity problem, but here the secondary roads could be brought into play and connecting buses could help. There’s another approach that could help, which brings me to the second part of my recommendation. The second way to get traffic off the surface is by enhancing the bicycle route system. I would propose that the city of Austin take bicycles seriously as a transportation modality, not just as recreation. Indeed, I think we should take bicycles far more seriously than any other American city has done, following in the footsteps in particular of some Dutch and Danish cities. London, too, is considering this direction. A bicycle interchange connects off-road bike trails in Eindhoven, Netherlands. Austin is a far more suitable city for bicycle transportation than the cities of Northern Europe — it’s warmer, drier, and far less prone to ice. Our population is largely young and vigorous. And our distances within the urban core, while rather too long for walking, are quite suitable for biking. We already have a bike rental network in place, too. One could easily imagine a bicycle park-and-ride, connecting the peripheral areas to the spine of the transportation network. The user could bike to the periphery, then take a train to a bike rental station. In densely trafficked areas, the bicycle offers a huge opportunity for an entirely alternative traffic network, not just an alternative vehicle. This is because the bicycle is so small and lightweight. Yard for yard, a perfectly safe elevated bicycle route is less expensive than any other elevated pathway. 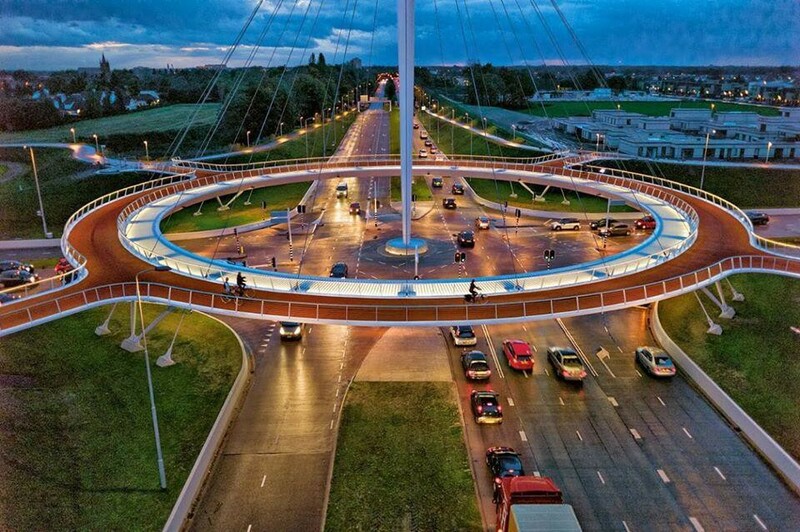 It would be interesting to compare the expense of a well-engineered elevated bike track to a modest surface road. I am not sure the road comes out ahead. If we consider constructing a network of bike paths intended for transportation, the crucial routes across the river already exist. That’s good news. The bad news is that the bicycle connections to the bridges and the recreational path along the lake are awful. There’s hardly a better proof of this than trying to traverse the five blocks from the trail to the Red Line terminus at the convention center. I recommend the bicyclist take considerable care on Red River between Chavez and 4th, and meanwhile be aware of the frustration he or she is causing the car traffic on the same stretch. Again, going up offers a panoply of solutions that don’t exist on the surface. 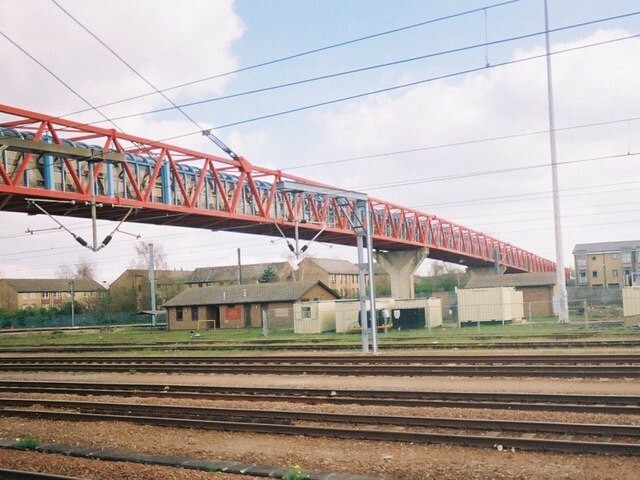 The 1/4 mile Carter Bicycle and Pedestrian Bridge over the railway station in Cambridge, England connects the countryside with the town. In 1989, Cambridge, England deployed a 1/4-mile long elevated bike and pedestrian path known as the Carter Bicycle and Pedestrian Bridge, connecting the countryside with the town across the railyard and train station there. It’s in active use today. 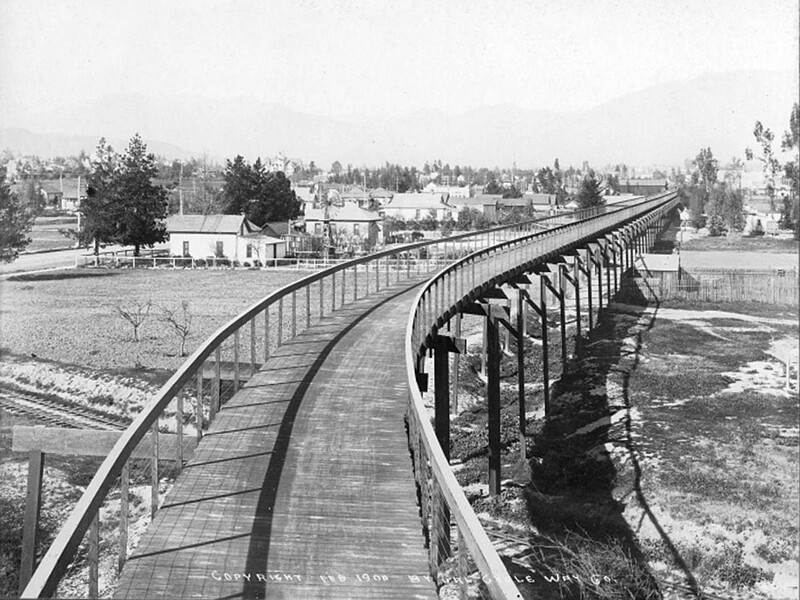 California Cycleway, partially opened in 1900, was intended to connect Los Angeles and Pasadena. Indeed, the idea of elevated bikeways is apparently not new, as many were proposed and at least one built in the 1890s. Compared with Austin’s Pfluger Bridge, the bike-pedestrian bridge across the lake, these structures are obviously far lighter. I’ve heard some ideas as to why the Pfluger Bridge is built like a road meant to carry freight trucks, but I’m uncertain as to the history of it. Clearly, though, Cambridge proves that a structure as heavily built as the Pfluger Pedestrian Bridge is excessive for the purpose of carrying bicycle and pedestrian traffic. As traffic in central Austin on either side of the lake continues to increase, safe and continuous bicycle traffic not contending for roads against cars and buses could significantly relieve the demand. The Pfluger bridge and the other excellent bridge bicycle crossings fail to relieve Austin traffic in a significant way, because Austin fails to take bicycling seriously as a traffic modality. It is currently possible to approach the Pfluger bridge from the east or west by bicycle without crossing traffic, along the trail system. However, once bicyclists exit the trail system and attempt to traverse the adjacent neighborhoods, they abruptly encounter a singularly bike-unfriendly environment. Bicycle traffic is not just a desirable amenity in a densely populated city, especially one not (yet) well-served by an urban rail network. It’s actually crucial to improve the bicycle alternative, and in our case, to relieve traffic on the bridges. Many of the trips across the lake are in reasonable bicycling distance, and Austin has a young and vigorous population. But rather than relieving traffic and increasing public health, bicycle trips nowadays simply add to the burden of the roads and put bicyclists’ life and limb at unreasonable risk. There are those who argue that it’s in bicyclists’ best interest for car drivers to become more aware and considerate of bicycle traffic, rather than separating it. There is a strong point to this, and it will surely remain true for a long time in the vast periphery of Austin. But the central city has a severe and rapidly growing traffic problem. Just as separate bus lanes and pull-offs dramatically increase traffic capacity, a separate and partly elevated bicycle network can as well. Taking bikes off the roads and onto an alternative off-road network will vastly increase the attractiveness of bicycling while increasing the traffic capacity of the surface roads. There’s a co-benefit to thinking in three dimensions. People love commercial districts separated from traffic. 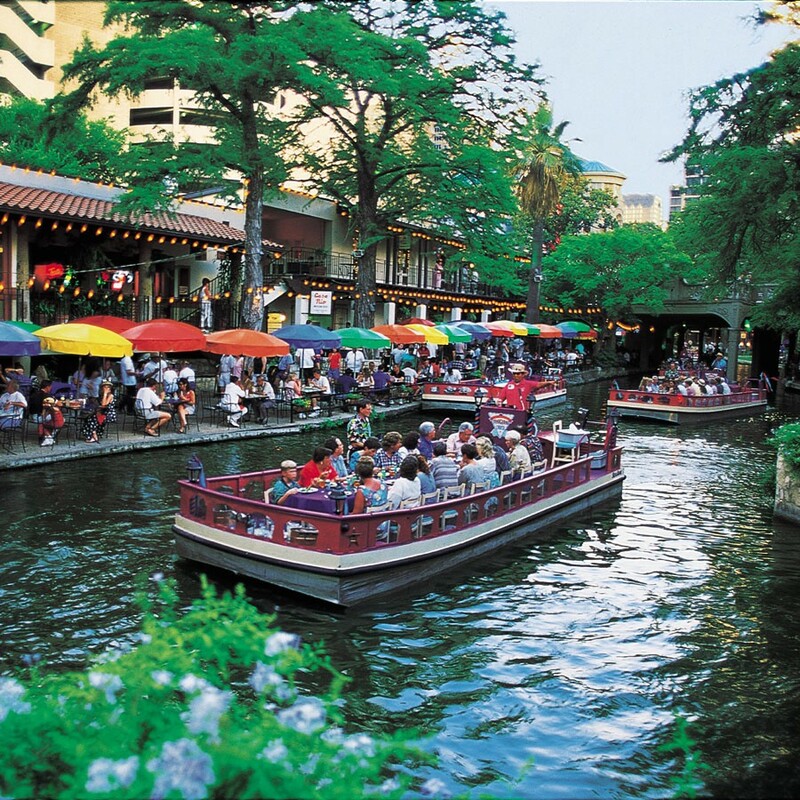 San Antonio’s Riverwalk. San Antonio’s Riverwalk, and hopefully the Waller Creek development, show the benefits of a below-grade pedestrian network. 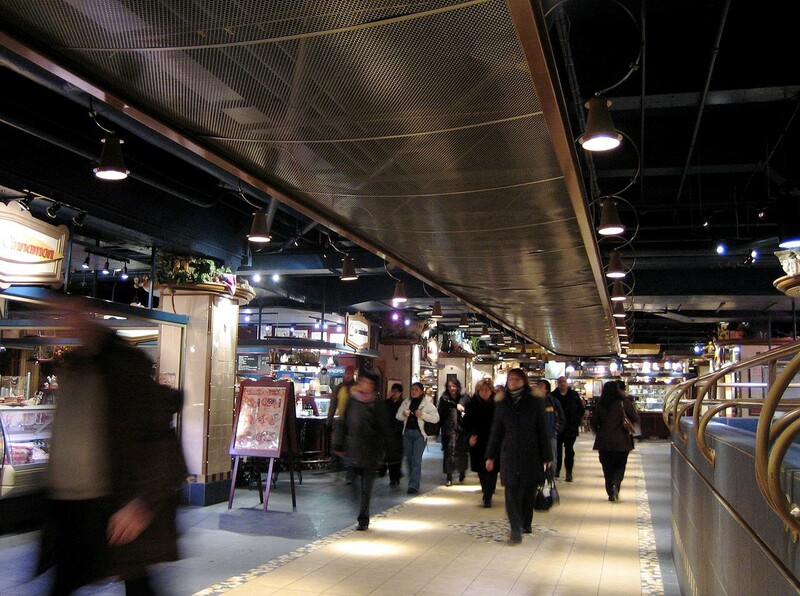 Part of Montreal’s immense network of underground shopping and dining areas. Montreal and Toronto have enormous networks of underground commercial properties connecting many central city properties, which are essentially walking and shopping districts that function in their fierce winters. Minneapolis has a similar enclosed network emerging that connects mostly at the second story. Houston’s network, partly above grade and partly below, is air-conditioned rather than heated. All of these are immensely popular, demonstrating that separating pedestrian traffic from car traffic also has huge benefits. This doesn’t relate directly to the transportation issue, but such a network is a plausible co-benefit of thinking in three dimensions. We can imagine a pedestrian area adjacent to parts of the elevated bicycle network, providing opportunities for above-grade commercial uses. In Austin’s relatively equable climate, it’s not necessary to enclose and climate-control such an area (though connections to climate controlled malls aren’t unimaginable). High Line Park, an elevated public space in New York City built on an abandoned elevated rail line, is a popular respite from the hustle and bustle of the big city. These thoughts lead me to consider the concept of an “elevated commons”, parks, music venues etc. One person I discussed this with, Jenny Nazak, suggested community gardens. It’s reasonable to think of a water supply in some of the elevated areas to facilitate this. Climbing vines around the structure could provide shade and add beauty to the streetscape. Opportunities for creativity abound in a space which has no historical use patterns! Here the main precedent I know of is New York City’s High Line Park, but I’d also note that the benches on the Pfluger bridge are popular. Some may scoff at the concept or costs of an elevated light rail or bicycle/pedestrian path, but one need only look at the widespread use of overpasses and interstate exchanges to see similar raised projects that have been paid for by our tax dollars without hesitation. These off-grade patterns are emerging in the world’s most creative cities, which indicates that they have merit on their own. What I’d like to emphasize is the concept that off-grade transit and off-grade destinations build on each other. One could imagine bicycling to a station on the periphery of the central city, parking the bike, riding the train to a central location, buying a lunch at a kiosk above grade, walking to work above the traffic, walking outside to a picnic table on the elevated level for lunch, renting an hourly bicycle and going out for a music performance, etc. The closer we get to a car-free existence, the less demand for electricity that our newly electrified vehicles will present to our energy infrastructure, and the closer we’ll be to establishing the other social and environmental advantages of a dense urban core. Realistically, it may take a long time for something like this vision to emerge. But keeping an eye on the symbiotic relationship between the alternative modes of being and of moving in a overarching off-grade strategy will help move each of these attractive prospects forward. Austin’s leadership remains strong on the environmental front. 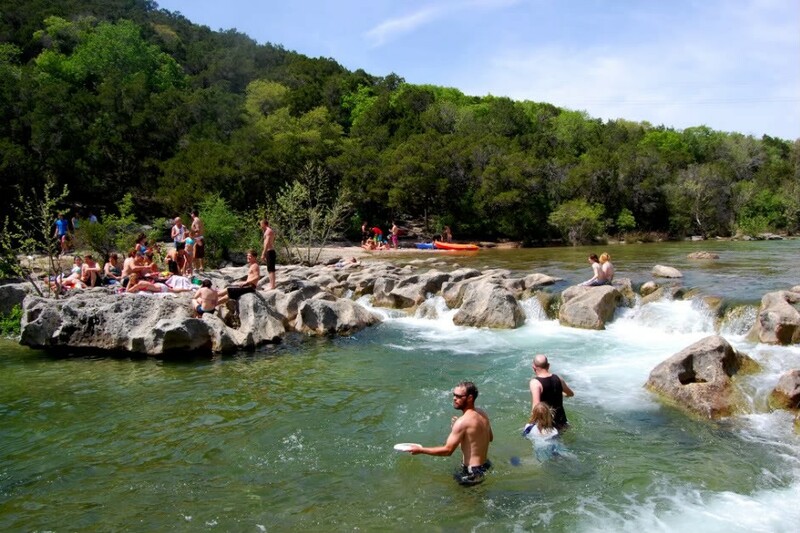 Barton Springs Pool, Hornsby Bend, Town Lake Trail, and the Waller Creek Project all amount to creative ways for a city to interact with its natural environment. Austin exists neither in indifference to nor in opposition to nature, but in collaboration with it. Sculpture Falls. Austin’s environmental genius is not obvious to newcomers and visitors. Neither Austin nor the world fully understands the extent to which Austin’s adaptation to the environment is unique and valuable. It’s especially important for newcomers to understand and align with this history, to understand where Austin’s success comes from, and why the rest of the world sees Austin as a place to emulate. The great successes of the Austin landscape and the city’s collaborative approach to nature are not the most visible. There’s a problem that the world sees our economic success but not the cultural success it’s built upon. A great advantage of a lightweight, visibly green upper deck over the central city is that it makes the Austin attitude visible. I wish I could offer you architect’s drawings of some of the scenes I can imagine. But at least I can offer you a glimpse. The photograph above is of the second story patio at the downtown Whole Foods store on a beautiful Austin winter’s day. The calm and charm of being up above the traffic with a long view to Castle Hill gives an idea of what we could achieve with an elevated commons. Scenes like this could be built at various locations around town adjacent to elevated train stations and elevated bicycle tracks. 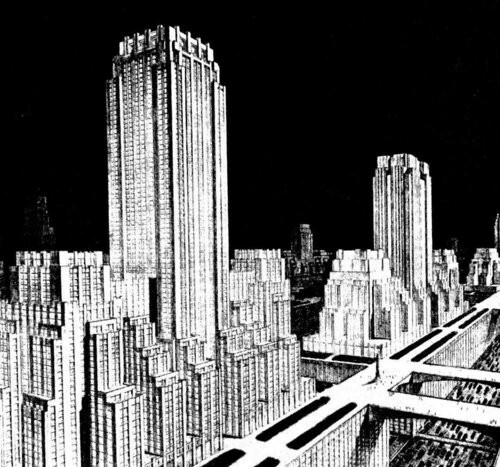 I’d like you to imagine this scene replicated and expanded into elevated parklike plazas. Imagine unobtrusive electric and water feeds, elevator access for the handicapped, a food court, an impressive view of the city, connections to elevated bike routes heading off in four directions, and a walk to a futuristic elevated train running north and south down the spine of the city. Fences at the edge of the plaza would be covered in vines, improving the streetscape as well as the upper deck. The greenery combats the urban heat island and softens the feeling of the city. Of course, an amazing acoustic band (I imagine Warren Hood’s combo) is knocking socks off around the bandshell. Austin has grown up, literally. Even in the face of the carbon crisis, we can embody not just live music and film and software, but a response to the world that is generous and creative and sustainable. We can get past the car culture not by attacking it, not by taking anything away from drivers, but rather by working around the automotive infrastructure and providing an attractive alternative to it. Who better to make this leap but Austin? Battery-powered vehicles can also help on the sustainability front, but it matters whether these are highway ready cars or lightweight short-range vehicles like golf carts. As I elaborated above, it’s by far preferable to offer lightweight vehicles for short, central city trips where highway-worthy cars are grossly inefficient. Lighter vehicles add much less stress to the energy grid. And lightweight vehicles can take advantage of an elevated transportation network. They can travel at bicycle-like speeds and so could share the bicycle routes with conventional bicycles. Whether these vehicles are “self-driving” or not is a matter of relatively low importance to addressing either the traffic problem or the sustainability problem. Alternatively, we could decide that pedicabs suffice. Austin’s main traffic problem is that streets are near or at their carrying capacity. The key bottleneck in Austin is created by traffic crossing Lady Bird Lake. Alternative strategies should be focused on getting people across the lake without taking their cars with them. Bicycle paths across the river exist, but connection to them from the surrounding neighborhoods is in a terrible state. Austin’s biggest environmental hurdle is reliance on heavy, highway-ready, self-powered vehicles — therefore we should be looking to lightweight externally powered or human-powered ones. Adding alternative vehicle technologies using the same streets with different usage patterns makes traffic worse. Adding alternative modalities on the same streets with similar usage patterns does not make traffic much better, though it can alleviate parking. As a consequence of the above points, in addition to new lightweight technologies we need new paths for them to ride on. The only way to do this is by going up or going down. Because the alternatives are lightweight, it is cheap to move them up above street grade. The key available technologies are bicycles and elevated light rail. These should be viewed as components of an alternative transit network, not as competitors. 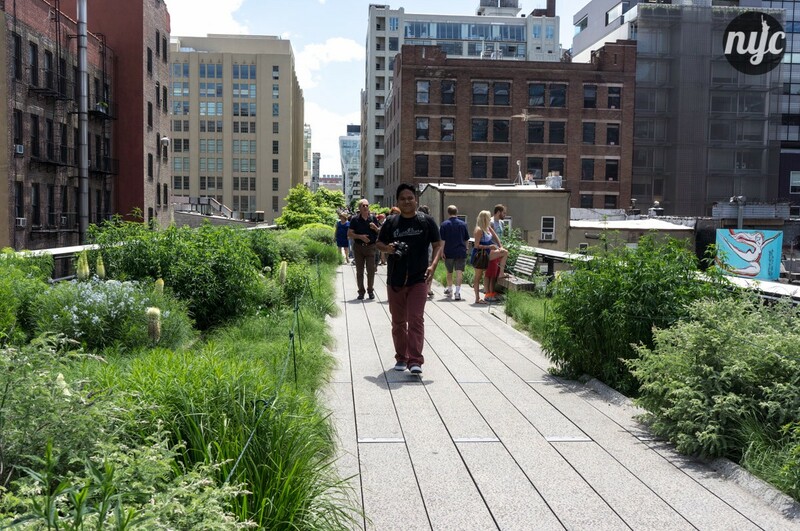 If the upper deck is well-designed, numerous ancillary benefits accrue (“elevated commons”). It is possible for the upper deck to present a verdant and shady layer above currently barren commercial streets. These ideas could be useful in many cities but the urgency of the need and the extent of our capacity make this approach especially appropriate here in Austin. A futurist urban vision, ca. 1914. How are we doing? The solutions to our problems lie in alternative lightweight transportation on alternative route networks that minimally intersect with the existing road network and as much as possible are human-powered or externally powered (like electric trains). The best way to achieve this is by putting trains and bicycles above the car traffic. This offers an opportunity to develop delightful above-grade pedestrian and recreation facilities as well.